You are here: Home / Friends of the Library / FUN raising! 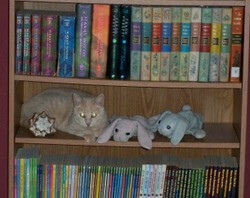 Turn in your reading photos by the end of March for our Photo Contest. Raising money for Drake Public Library is a continual function of Friends of the Drake Public Library (FDPL), but that doesn’t mean fundraising has to be mundane. Nor does it need to be burdensome to donors. Friends has launched several fundraisers in the last month, and has several others in planning stages, which it hopes will be interesting as well as fun. FDPL seeks money, but it wants to give its donors something in return. 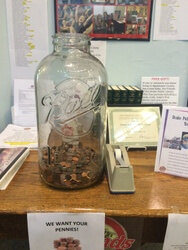 The collected pennies at the Drake Public Library. For example, Friends wants to help members of the public get rid of those unwanted pennies. At the same time, it offers to let the public help gather 50 pounds of pennies just to see what that looks like. Everyone knows pennies are heavy. People collect them, not on purpose, but because businesses insist on giving them to us in change. We have them in jars and drawers and perhaps underneath couch cushions. They are considered a nuisance. They get no respect. FDPL wants those poor, sad pennies. It will take them off your hands and give them new life. Bring them to the library. Every week Friends will weigh the pennies and post the weight. If the goal of 50 pounds is reached before the end of the month, FDPL go for 60 pounds. Ten pennies weigh about an ounce. Sixteen ounces make a pound. Do the math. Friends is celebrating Easter with surprise-filled eggs. Members of FDPL have prepared a basket of plastic eggs for sale at the library. Each egg contains some sort of surprise, and several eggs contain $5. Visitors to the library can purchase an egg for $1.00 at the front desk to find the surprise inside. Unlike the lottery, Friends guarantees you’ll win something, even if it’s just candy. The Friends’ April fundraiser needs a little preparation, and FDPL has asked the public to help. 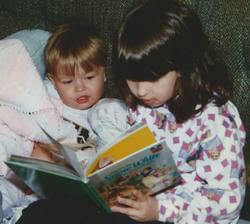 FDPL needs photos related to reading or books. Children and pets always make cute pictures. Photos that represent reading in an artistic manner are welcome, too. In April, library patrons will pay to vote for their favorite photos. Prizes will be awarded to the top three vote-getters. It’s like American Idol except with book-related photos. To participate, put your name and phone number on the back of a photo and bring it to the library. Anyone at the front desk will be happy to take the photo. FDPL will post the photos in the library in April and the voting will begin.